The pair of speakers that we had in service for reviewing at NeuFutur Magazine had not survived the move from Ohio, so we had to search out a pair that were at least as good as the previous pair. 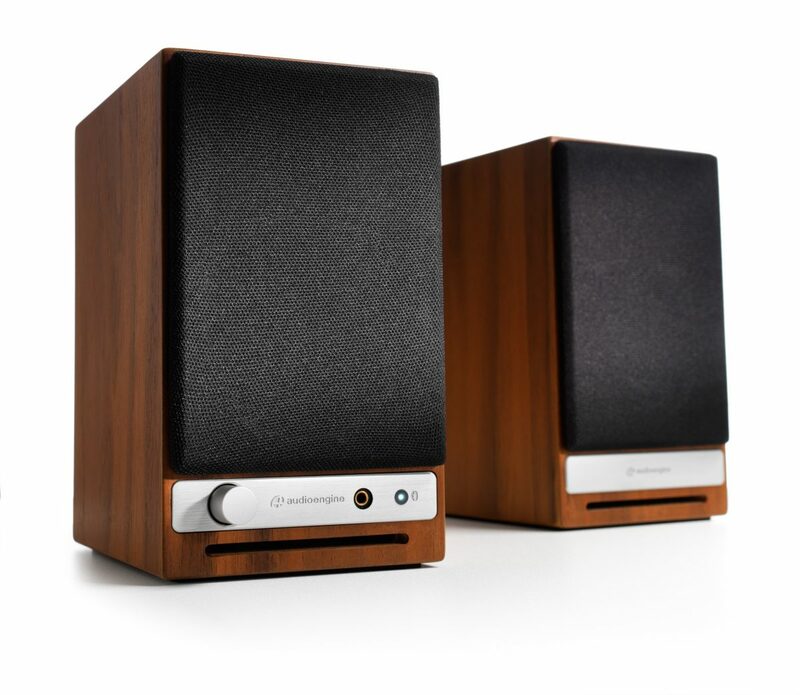 We were fortunate in that we were in contact with Audioengine, who provided us with a pair of the HD3 Wireless Speakers. We’ve had a month to check them out through a wide variety of tests, video games, CDs, and anything else that you can throw at them. The price point for the speakers ($399) may take one back that is used to purchasing cheap speakers on the regular, but the old adage is true here – you really do get what you pay for. Audioengine provides purchasers with a carrying bag for each of the two HD3 speakers, along with the relevant cords. The first thing that we noticed is that the overall quality of each of these cords, coupled with their fit into the speakers, was far and beyond what one would get for $100 pair. The speakers come with an aerial that will pick up Bluetooth signals well (more about that in a minute). The speakers will get extremely loud, but without any discernible distortion. The one caveat here is that the source material matters; if one is playing a bad quality rip from Youtube rather than a lossy format file, you will hear a lot of the compression artifacts that are present. Speech is captured accurately, an essential for our headquarters (we love listening to a bevy of podcasts through the day). We were a fan of the HD3 Speakers in the fact that there is an USB input present here; there is a more direct connection that is present that decreases the amount of latency and degraded sound quality that is present when one has to hook up a device into the desktop/laptop’s own USB port. An Audio cable (headphone jack) port is also present on the HD3, ensuring that one should have a way to utilize these speakers no matter what sort of device that you may be using. While the speakers are a bit heavier than you think purely based on the size of the pair, there is a sense tthat you could easily throw eachg speaker into their constituent carrying bags and bring them around to wherever you are going. The portability of the HD3 Speakers means that one will not run across crummy audio quality just because they are on the road. We were quite pleased with the month of playing around with the HD3 Wireless Speakers. The durability of this pair makes it all the more worthwhile; we can have our animal and child knock the speakers over and everything ends up hunky dory. The HD3s will be a part of our music review section for years. The company offers a number of distinct additions to the HD3 speakers that will further increase the quality of their sound, including a subwoofer (the S8, which retails for $349) and a pair of stands that direct the sound away from one’s desk. The company offers a 30 day trial period for those that are unsure about the price. Previous Previous post: Why should you choose a skilled and experienced Roofing Contractor?